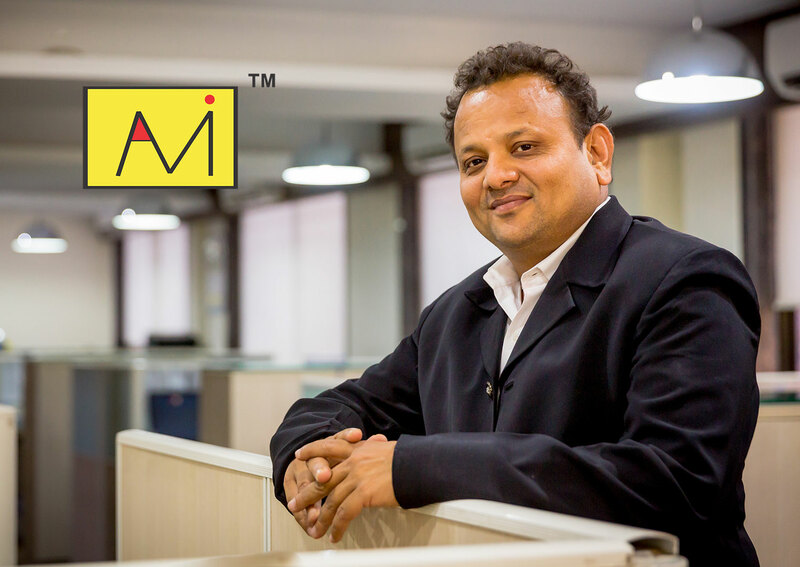 Mr Alpesh Gandhi, Managing Director, Ami Polymer Pvt. Ltd.
Q. Being the key player in the industry, Please brief us company’s journey from inception & share some of the milestones achieved? World class silicone product manufacturing clean room of class 10000 facility to manufacture tubing, hoses and gaskets for pharma industry. Good documentation and certification support to handle pre-audit and post audit queries of clients. Latest Processing machineries and automatic inspection system of extrusion of pharma tubing. Trust of more than 3000 pharma clients on our quality & certification. There are following milestones achieved by Ami Polymer Pvt. Ltd.
We have achieved Excellence Award among Top 50 fastest growing Indian companies by ASSOCHEM. 1st Indian Silicone Product manufacturing company to build Clean room Class 10000. 1st Indian Silicone product manufacturing company to Register Silicone products in USFDA and having DMF as 26201. 1st Indian Silicone product manufacturing to have TOXIKON LAB USA Based E & L Studies on Platinum cured silicone products. Toxikon is renowned name in worldwide lab testing agencies based at USA. 1st Indian Silicone product manufacturing company to register silicone Resins in NSF -51, USA. NSF-51 is food safety mark on product. Q. Please brief us about company’s infrastructure & what are the technology alliances that has been made in order to out-front the competition? Ami Polymer Pvt. Ltd. started its operation in 1998 to manufacture a wide range of silicone rubber products for intricate applications in the field of food & beverage, pharmaceutical, medical & heavy engineering in India as well as overseas market. We have a R&D Center at Silvassa that plays a crucial role in building new products & solutions that sustain the company’s competitive advantage. It keeps the company future-ready & drives its game-changing businesses for the future. Going beyond improving APPL’s existing products & services, the center creates innovations that not only meet but also anticipate the consumer’s requirement. The R&D center is equipped with the latest CAD/CAM software that enables talented engineers & technicians to design & develop innovative products that meet the stringent specification. We have bi-color silicone tube for the purpose of color-coding is one of the examples of the innovations brought out by our R&D Center for enabling the customers to avoid the cross contamination problem. Another example of company’s R&D capabilities is the Silicone Thunder Braided Hose with SS Wire reinforced of 100 mm ID, which was introduced in 2015. Q. What are the products manufactured by your company? We are Manufacture a wide range of silicone rubber products for the most precious and intricate applications for the food, pharma, medical and heavy engineering sectors in India and worldwide. The company enjoys a high reputation among the major pharmaceuticals and biotech giants in India. The company is headed by qualified rubber technologists from premier institutes from India, coupled with the rich experience in R&D and reinforced with management capabilities. Besides the silicone rubber products, the company also manufactures a wide range of products in FKM, EPDM, Nitrle, Neoprene, TPE and PTFE products. Q. What is your marketing strategy for India? We have been dedicatedly focusing on development of import substitute based high quality products for food, pharma and biopharma industries. In past two years, we enjoyed fruits of new developed silicone products & now it’s time to explore the products in overseas. I am personally involved to create technically sound team of management professionals to promote the silicone products among highly reputed pharma industry sectors. Even we are planning to expand the manufacturing facility to multiply the capacity of production. Certifying facility and products through renowned agencies of world is on top priority in agenda of management. Like soon our facility will be certified by TUV for IMS (Integrated Management System) of ISO 9001, ISO 14001, OHSAS 18001, NSF-51 USA based certification on silicone products, Extractable and Biocompatible studies on silicone products from TOXIKON lab, USA.I am very confident to say in coming years; Ami Polymer will give tough competition to global competitors in Indian and US-Europe Markets. We are also focusing in expansion of our product distribution network in Asia, Europe and USA. Q. Quality standards are benchmarked by the product performance; please brief us how do you maintain the quality norms since from solution development to implementation? Quality is heart of any organization which drives whole business. Sound quality team is required maintain each and every parameters involved in process. Again, quality and culture of organization solely dependent on Type of standard followed by organization. Whenever you develop product for any regional market, we have to consider regulatory requirement of the country. We manufacture product for the critical industries like Food, Pharma and Heavy Engineering. Our Quality team follows ASTM, USFDA, UK-MHRA, WHO –GMP critical standards while developing product / process. Following international compliance is again challenging task for any Polymer product developers. We have dedicated Quality team working on Raw material inspection, in process inspection (Automation Laser system), Final Product Testing, Documentation and Compliance management. To meet and comply global quality standard, we have done quality agreement with world class Laboratory TOXIKON USA.Majority of testing on rubber products are done with TOXIKON lab. Very carefully we have chosen our calibration, validation and chemical testing service providers. To ensure same consistency in raw material quality, we carry out chemical testing through third party service providers annually. Q. According you what are the factors affecting to your business? India is one of the leading producers of natural rubber, though still silicone rubber manufacturing has not been started in India. Polymers like Silicone, EPDM, Viton®, NBR are manufactured outside the Country. Audit Compliance of Industry: Our business solely depends on growth of pharma and food industry. Any company fails to comply regulatory audit requirements results decline in business due to production held up. Food and Pharma Regulatory Guidelines: Regulatory bodies like USFDA, UK MHRA, ICH update their guidelines regularly. These guidelines decide CGMP practices at customer’s end. Some time we have to go with costly chemical analysis recommended by regulatory bodies for industrial requirement. Q. What are the key technological trends that are driving the industry? Technology continues to evolve rapidly, so much so it’s impossible to know for certain where the world will be in five years’ time.It is therefore more important than ever for businesses to embrace emerging and disruptive technologies before it is too late – ignoring them now will leave businesses falling behind and questioning what might have been as a potential competitive advantage slips through their fingers. For last few years, single use practices are most famous in pharma industry which has replaced practices of multiple time usage of consumable goods. The advantage is products are risk free and quality assured. Many developments in area of single use application like tubing, Bioreactor have been motivating vendors to aim for development in this direction. Q. How do you perceive the future of the industry? Polymer industry supplying to medical and Pharma industries will be enjoying growth in terms of quality and revenue. Q. What is your vision for your company for near future? We are committed to develop and introduce many import substitute products for Food, Pharma and Engineering Industries. Our Vision: To be global Leader in Inflatable Seals, Pharma Tubings and Silicone Rubber Implants. Our Mission: To become a 155 Crore company by the end of March 2021 by providing excellence in service and quality to our customer. In the process, we are committed to delight and respect our customer, employees, vendors and communities.